The 2019 annual work programme for the implementation of Erasmus+ assigns a budget of around EUR 160 million (including the credits for additional scholarships for target regions of the world – "Heading 4" and "EDF" budgetary envelopes) and envisages selecting around 46 Erasmus Mundus Joint Master Degrees under this call for proposals. The Erasmus+ Programme Guide is available on-line. This guide presents the Erasmus Mundus Joint Master Degrees (EMJMD)and explains the rules and conditions for setting-up an application for this action. Western Balkans (Albania, Bosnia and Herzegovina, Kosovo, Montenegro) are new targeted region for additional scholarships under the "Heading 4" budgetary envelope. Chile and Uruguay were moved from the region "Latin America" to "Other industrialised countries"
Erasmus+ e-tutorials that focus on the international dimension of the Programme and on how to prepare a competitive proposal are also available here. For information, applicants may consult the model template of the "Grant Agreement" to be issued in case the proposal is selected for funding, including the Special/General Conditions governing the grant award. 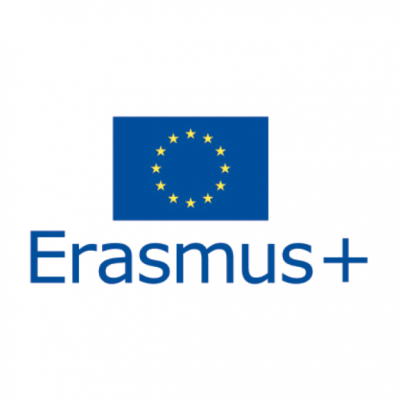 Organisations wishing to apply for Erasmus Mundus Joint Master Degrees in the field of Higher Education are invited to submit applications online to the Education, Audiovisual and Culture Executive Agency (EACEA) in Brussels. The document "Instructions for completing the Application Package" is intended to help applicants for EMJMD projects to find information they need to complete and submit their applications. In addition "Frequently Asked Questions" are available in order to assist applicants in preparing their proposals. Read the call for proposals / Erasmus+ Programme Guide / Instructions for completing the Application Package carefully. Applicants must create an EU Login account. If you already have an EU Login account, use your e-mail address to sign in; otherwise click here to create an EU Login account. When you have created your EU Login account, return to this page. The applicant and all partner organisations must be registered in the Participant Portal. Organisations that register in the Portal receive a Participant Identification Code (PIC) that will be requested in the electronic application form. To access the Participants' portal, you will need your EU Login username and password. Given that each applicant organisation should use only onePIC code, please first check with your institution (e.g. legal representative's office, etc.) whether such a PIC number has already been created for your organisation. For your convenience the Erasmus charter holder's list provides you with the corresponding PICs of HEIs from the Erasmus+ Programme Countries. If you already have a PIC, you may use it to create your electronic application form. Please also note that at application stage the PIC status can be either "Validated", "Declared" or "Sleeping". In case of double reference for one and the same organisation, the "Validated" PIC should always be considered. Create your official electronic application form, also called the eForm. Use the official application package and the correct application eForm for the Erasmus Mundus Joint Master Degrees action (please refer to the eForm and Annexesnavigation tabs on the left).